2015/16 blueberry season has once again kicked off. It’s been an indifferent start with the mild spring so berries took a little longer than usual to ripen. We’re still making plans to attend Northey Street in Brisbane and will let anyone who’s interested know by Facebook or email. 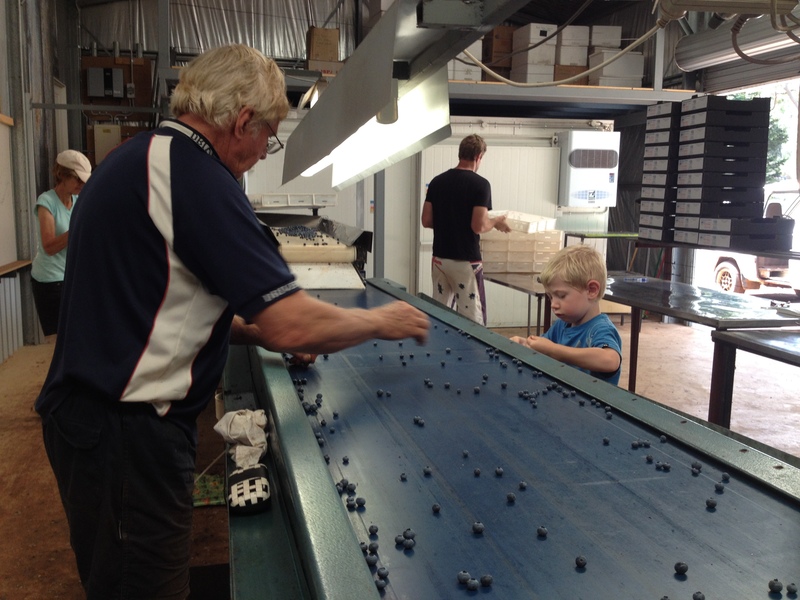 Blueberry grading – A game the whole family can play.